The Cleveland Carbon Fund is breaking new ground in the carbon reduction market. As more individuals and corporations around the globe are motivated—either by personal passion or regulation—to be better stewards of the environment, reducing carbon emissions has become a viable choice for citizens and businesses to undertake. 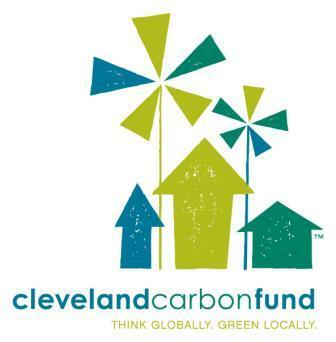 As the first, community-based, open-access carbon reduction fund in the United States, the Cleveland Carbon Fund offers a structured, highly transparent alternative for the public to easily play a role in reducing carbon emissions by supporting community projects that foster positive economic, social and environmental development. Visit their website for more information, clevelandcarbonfund.org!